Just add your car for sale in this topic and it won't cost you a penny. Of course you could do a better job of advertising with a topic of your own but that would cost you a membership. My brother In Law asked me to post his truck for him so here goes. Sorry I dont have any pics but if you are interested PM me and I'll give you directions to come look at it. Edited by HiramDawg, 04 July 2006 - 04:47 PM. Go DAWGS / E.P. Raiders!!! Please someone have a good used Honda Civic that my niece will like. If you have one to sell that is low milage and cheep, please post. Don't Litter -- Fix Your Critter! And remember, rescued animals make the best pets! My husband is selling his Harley, It is a 2004 Sportster XL Custom. It is a beautiful bike. lots of chrome.. Screamin' Eagle pipes and Screamin' Eagle air filter kit, Dyna Jet carburetor. It still has a 1 year warranty and a 1 year service contract at Earl Smalls. It has 9665 miles. I do have pictures if any one is interested I can email them. I'm not sure how to post them on here. We also have a 1978 Indy Pace car Corvette, it is an awesome car!!! If anyone is interested in that pm me and I can give the details. I have pictures of that also. And a live chicken, and some peach preserves! Sorry... The Harley is $10,500. The Corvette $24,000. If someone can let me know how to post pictures, I would be happy to do it. Runs, great cond., clean interior. Do not deny yourself love! Love is the greatest gift from God and who are we to deny God? how many miles does it have and would it pass an inspection emission ? 1986 Honda Prelude SI...This car is missing the driver side door handle and window. Passenger and back seat. 5th gear is gone in the transmission and it needs back taillight covers. It does crank up and drives. Just needs a tire. It has a 2.0 SI motor. Has 162,000 original miles. I'm posting this for a family member so I don't have pics. Edited by Georgiagirl8382, 18 July 2006 - 09:01 AM. This car is missing the driver side door handle and window. Passenger and back seat. 5th gear is gone in the transmission and it needs back taillight covers. It does crank up and drives. Just needs a tire. It has a 2.0 SI motor. Has 162,000 original miles. I'm posting this for a family member so I don't have pics. Edited by Georgiagirl8382, 18 July 2006 - 08:11 PM. This is a VERY dependable car. Our daughter drove it to PCHS and to UWG. She also drove it 4 nights a week to Dallas from Carrolton and back late at night. We made durn sure it was dependable. She bought another car because she wanted an automatic and she's short, it was difficult for her to see. 5 spd, V6 runs great and will "GIT"
Has so many new items I don't know them all. Clutch assembly, driveline, water pump, brakes are a few that I know. new tires, truck has 200,000 miles -80,000 miles on rebuilt engine and new trans. 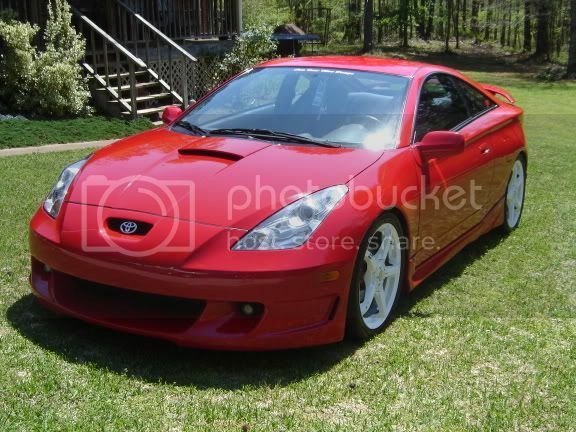 I have a 2001 Toyota Celica GT for sale. It's a very nice, clean car that gets great gas milage. 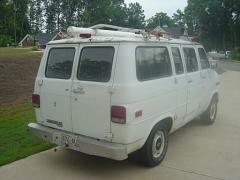 It has 73K Miles and we are asking $10,000. The car has absolutley no internal or external problems with it, I am just no longer a high school teenager so the sports car isn't my type of thing anymore. If anyone is interested, please PM, reply, or call at (770)459-1844. Thanks! 2001 Kia Sephia. Nice looking car, runs great. 95k miles, electric windows, locks, etc..pioneer cd player. Cold A/C. Back seats can fold down for a pass-thru. Great gas mileage. Automatic. White with grey interior. Pm me with any questions. Asking $4000 firm. Thanks! needs a little work. But as far as what needs to be done, it needs a new muffler, a new ignition switch could use a new battery and needs to be set in time. Other than that to be best of my knowledge it runs well, although it does lag due to the previously mentioned issues. 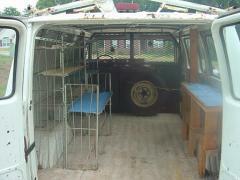 Once this vehicle is cleaned up it can provide reliable transportation and enjoyable outings. 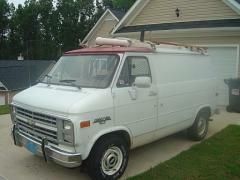 I'm trying for $400 but I'm willing to deal due to the fact that I need to have this truck by tuesday the 25. I'm leaving town and this truck needs a place and I could use the extra cash. 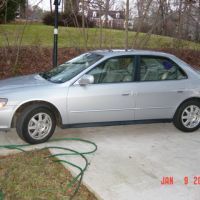 2002 Honda Accord SE for sale. Excellent car. We just need to get out from under the payments. We're asking 13500 but we are flexible. We bought it brand new and we have taken very good care of it. 2005 Chevy Silverado 2500 Heavy Duty Truck. White with grey leather interior. 14K miles, 3/4 ton, 4WD, work package. $27,000.00 . Can email pics if interested. I'm listing this for my Step Dad, he needs to sell it quick. Ladder racks with tool tube, runs good. not sure on the mileage I will have to ask him and then post it. This has been a woods bike all it's life. Very little track use. LSD suspension set up for about 140# rider. Just went over entire bike, everything fresh. Hinson cluch and basket. Can e-mail pics. 1996 toyota tacoma 4 wheel drive extra cab has engine trouble. Pubby, not sure how I post to sell my car. It is a 1985 Subaru GL wagon 122,000 miles. Runs great! Super AC, Electric lock, electrick windows, electric mirrows. 4 cyl save that gas! asking $1,200.00 Selling reason...my kids need shoes. My number 404 734 6237, Dallas Georgia. Electric lock, electrick windows, Electric mirrows. Selling reason...my kids need shoes.